The suit by iPhone users could force Apple to cut the 30 percent commission it charges software developers. WASHINGTON — The Supreme Court seemed ready Monday to allow an antitrust lawsuit to go forward that claims Apple has unfairly monopolized the market for the sale of iPhone apps. 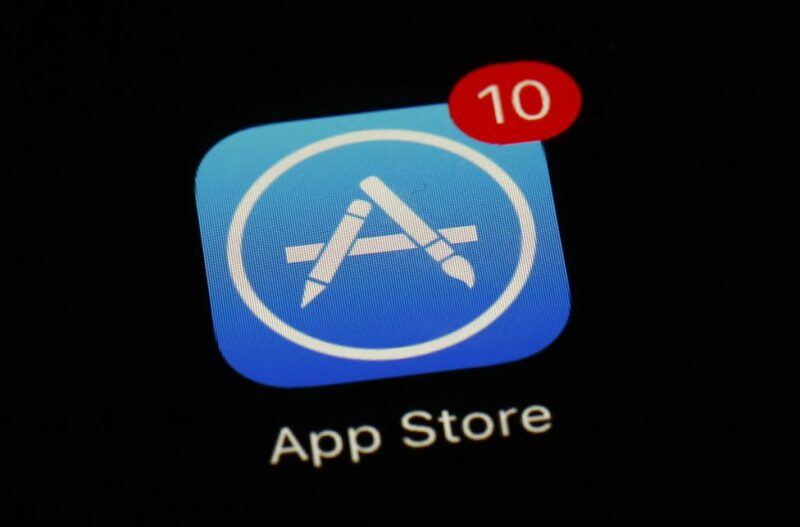 Apple faced skeptical questions from justices who seemed concerned about the control that the Cupertino, California-based company exerts over iPhone users who must purchase software for their smartphones exclusively through its App Store. But the issue before the high court at this early stage is whether the case can proceed at all. 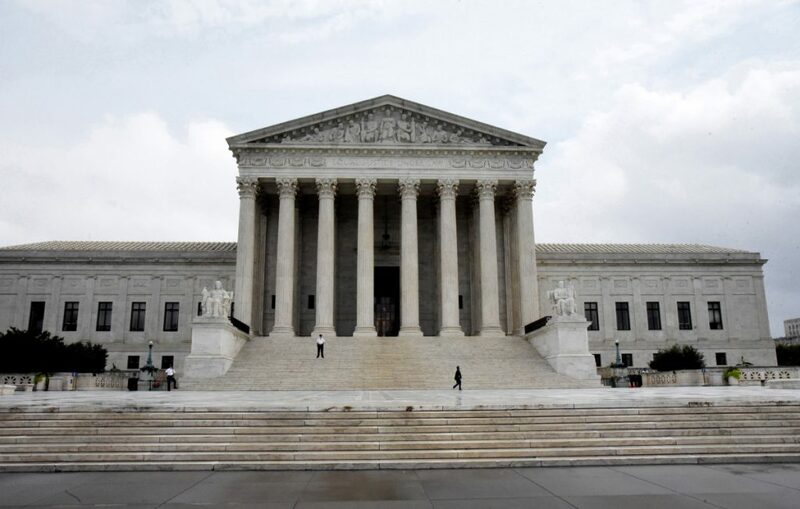 Justice Stephen Breyer, who used to teach antitrust law at Harvard Law School, said the consumers’ case seemed straightforward and in line with a century of antitrust law. Apple argues it’s merely a pipeline between app developers and consumers, and that iPhone users have no claims against Apple under federal laws that prohibit unfair control of a market. Tens of thousands of software developers set the prices and agree to pay Apple a 30 percent commission on whatever they sell, the lawyer representing Apple said in the courtroom. If anyone should be able to sue Apple, it’s a developer, Daniel Wall said. “There have been plenty of disputes, but none has ever gone to litigation,” he said. Among the justices who appeared to be on the other side, Justice Elena Kagan said consumers appear to have a direct relationship with Apple. “I pick up my iPhone. I go to Apple’s App Store. I pay Apple directly with credit card information that I’ve supplied to Apple. From my perspective, I’ve just engaged in a one-step transaction with Apple,” Kagan said. Justice Brett Kavanaugh said if consumers are paying more than they should, then perhaps they should be able to sue. The relevant federal antitrust law says “any person injured” can sue, Kavanaugh said. Consumers can choose from among more than 2 million apps, compared with the 500 apps that were available when Apple created the App Store in 2008. “The phrase ‘there’s an app for that’ is now part of the popular lexicon,” Roberts noted in a 2014 decision limiting warrantless searches of cellphones by police. Apple has trademarked the phrase. But the company says the popularity of software for iPhones and its App Store shouldn’t obscure that consumers buys apps from developers, not Apple. Developers set the prices, though Apple requires prices to end in .99, Wall said. The Trump administration is backing Apple at the high court. Representing consumers, lawyer David Frederick said the monopoly Apple has over iPhone apps is unique in the digital age. “Apple can’t point to another e-commerce distributor that does what it does,” Frederick said. Even Apple allows third parties to sell computer software directly to purchasers of its laptop and desktop computers, he said.